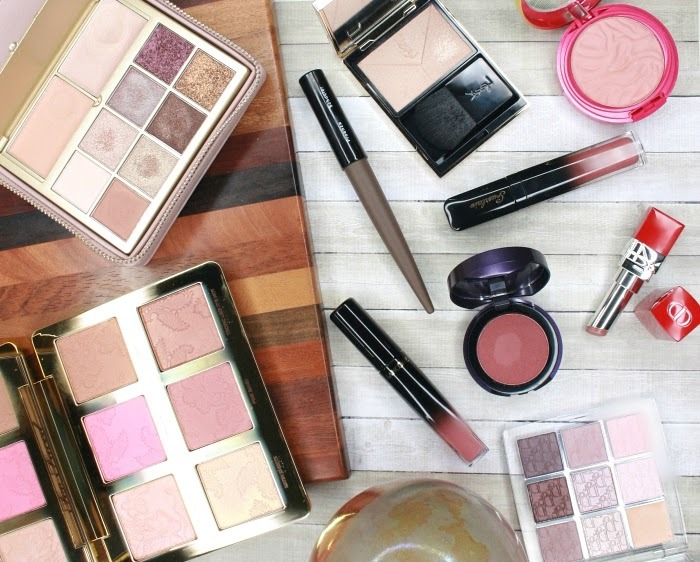 Do you also feel like beauty brands are focusing on packaging and design a lot lately, releasing products that are at least as pretty to look at as they are useful? 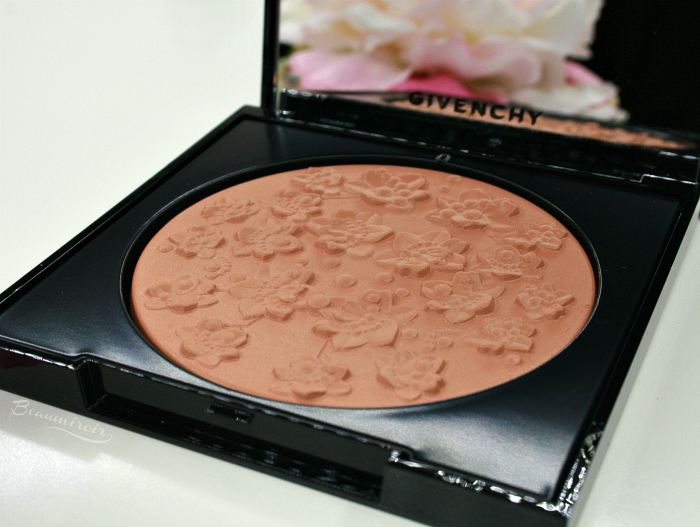 Givenchy's latest bronzer, the 2017 Floral Edition of their Les Saisons Healthy Glow Powder (also sometimes called Gypsophylia), certainly fits in this trend. 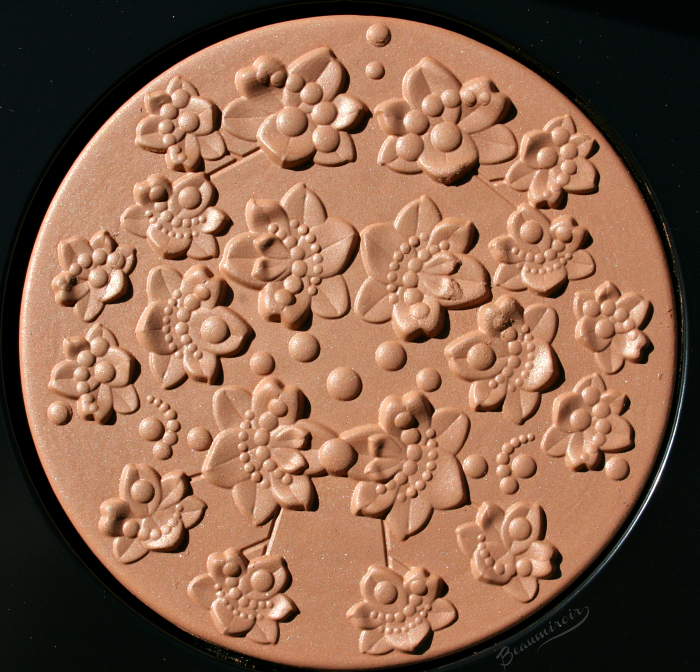 The floral pattern makes it one of the most beautiful powders I have ever seen. Let's take a closer look! The Healthy Glow Powder comes in a large, elegant black compact with copper details on the lid and a big mirror inside. 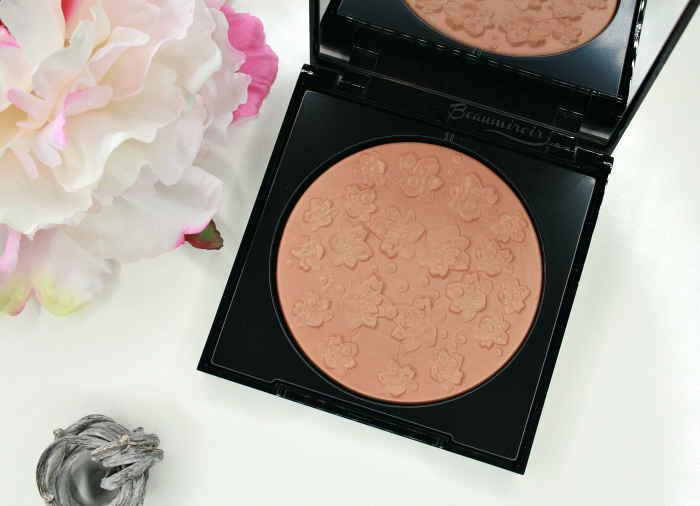 The most stunning part is, of course, the embossing on the powder itself. The floral motif is incredibly fine and detailed with the larger flowers that really seem to pop out. Sadly it gets damaged by brush bristles as soon as you start using it... Be warned, if you are a collector, you would probably want to leave this product untouched! 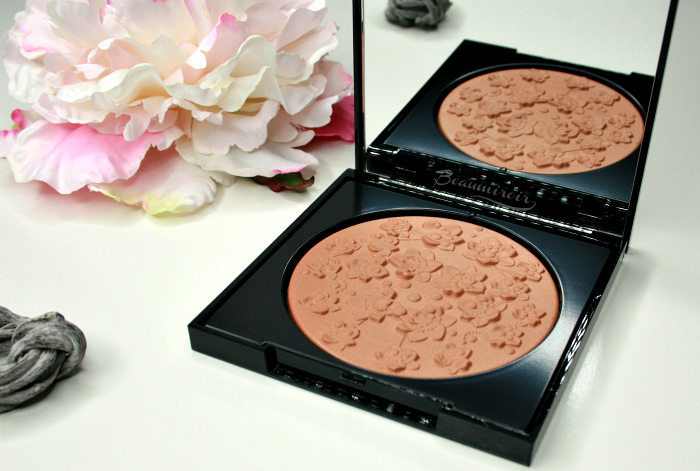 The compact contains 16g of powder, which is a good amount: not quite as much as the huge Michael Kors bronzers at 21g, but much larger that MAC bronzers at 10g. It might not justify the cringe-worthy $65 price tag, but hey at least it will last a while! 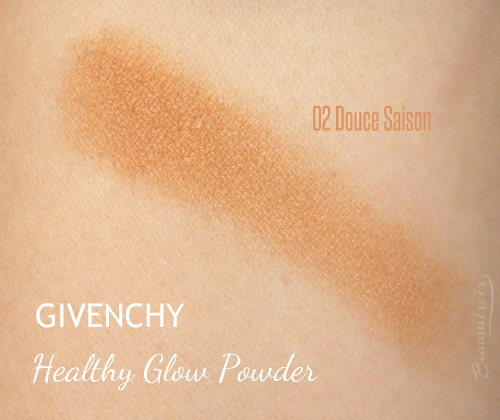 This limited edition of the Healthy Glow bronzer only comes in one shade called 02 Douce Saison. I am not 100% sure that it is identical to the shade of the same name in the permanent version of this powder, but I think it would make sense. It is a golden orange with a satiny sheen. I know this description must sound scary... and when I swatched it for the first time I wondered if this very warm color could possibly look flattering on my face without turning me into an Oompa Loompa. And surprisingly it did! Obviously, if you can't stand bronzers with orange undertones, it's not going to work for you. 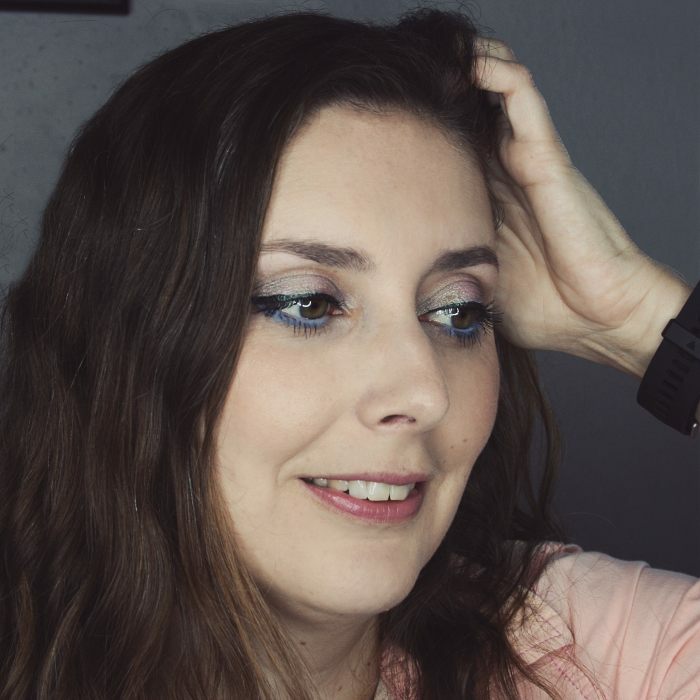 But somehow it doesn't look as warm and bright on my face as it does when swatched. 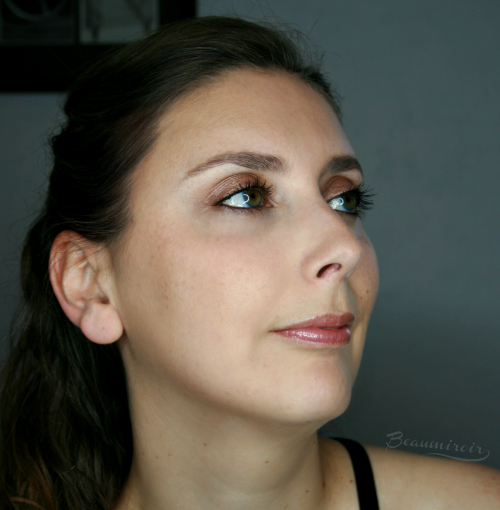 In fact, on my skintone, it adds just the right amount of warmth and color for a natural sun-kissed look. It's easily buildable from subtle to heavy, and it's only when I overdo it that the orange tone becomes too obvious. Looking into the compact, you can see particles of micro-fine shimmer, and the sheen also appears rather strong on swatches. 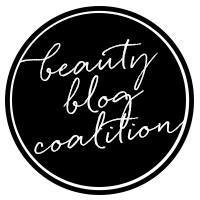 But then again, it is more toned down on the face, resulting into a satiny finish that just looks like healthy skin. I noticed that there is a top layer on the powder that feels a little stiff and doesn't yield much pigment. Once you brush it off (causing the flower embossing to look a bit sad) however, the texture feels silky smooth, incredibly finely milled and the color payoff is a lot stronger. 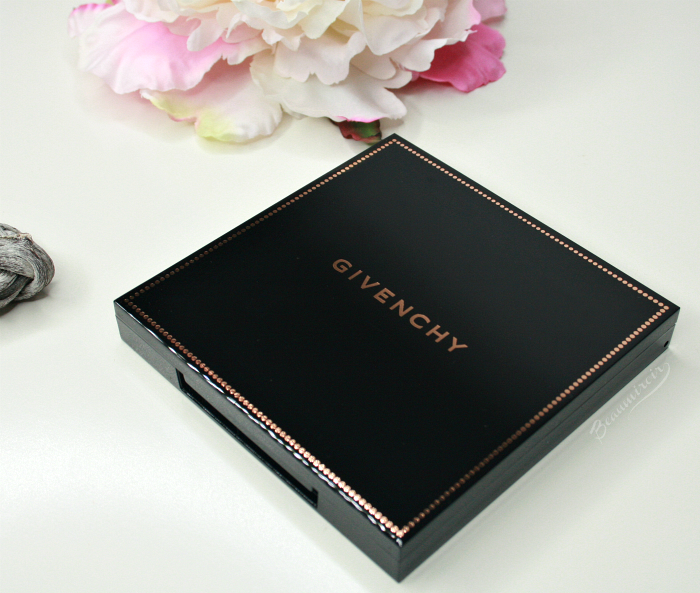 Givenchy claims that Healthy Glow is "totally weightless" and long-wearing, and I agree on both counts. There is no powderiness at all to the texture of this bronzer, and it blends into the skin beautifully for a very natural result. Both the color and the satiny sheen last all day on me, which is impressive considering how much I touch my face throughout the day. I'm trying to stop, I swear. If you are a collector or a lover of beautiful objects, you will certainly appreciate the gorgeous design of this embossed powder. 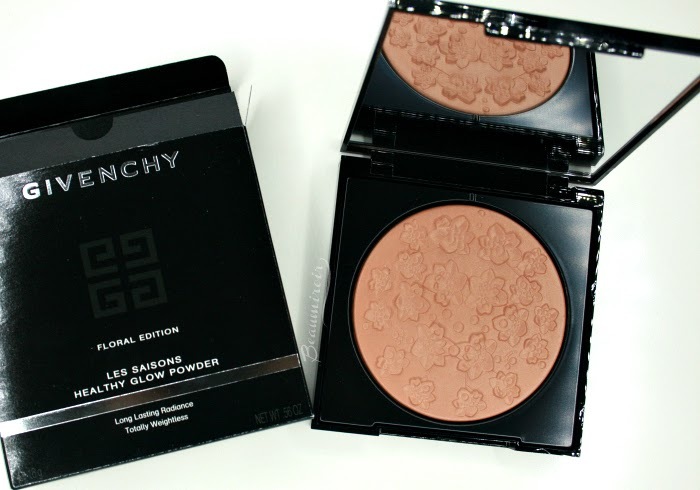 Besides its stunning design, it is also a high quality glowy bronzer in an orange-based shade that will work best on light to medium skins with warm undertones.